With work experience in Hyperledger Blockchain projects in Supply chain, Identity management, and Transportation industry, we deliver products with quality. Our Hyperledger developers and blockchain experts can help build the dApps faster and risk-free. We have worked on hybrid(off-chain and on-chain) projects with Hyperledger Fabric and Sawtooth framework. With the content stored on IPFS and CDN and hosting infrastructure on AWS and IBM Bluemix, we have developed over a dozen blockchain apps for enterprises. Using Fabric, we can create permissioned networks for enterprises. Development using Fabric requires Identification of Peers, User Interfaces, Smart contract between the peers, Data visibility for different peers. We deploy the application on AWS or IBM or on-premise. Sawtooth is a good choice for IoT and hybrid applications. Developing transaction families for your use case, we can build a POC and deliver a working prototype on the production environment in 4 weeks. We implement Hyperledger Iroha for business use case in finance and identity. Bezentine fault tolerance ready, IROHA is a better choice for financial industry use cases. We incorporate Hyperledger Burrow with a permissioned smart contract interpreter, partially developed to the specification of the Ethereum Virtual Machine (EVM). We implement Hyperledger Indy to createe independent digital identities rooted on blockchains or other distributed ledgers for interoperability. Hyperledger Caliper measures the performance of a specific blockchain implementation with a set of predefined use cases. Hyperledger Cello aims to reduce the effort required for creating, managing and terminating blockchains. Hyperledger Quilt offers interoperability between ledger systems by implementing ILP. Hyperledger Explorer can view, invoke, deploy or query blocks, transactions and associated data, network information, chain codes and transaction families and any other relevant information stored in the ledger. Hyperledger Composer is a collaboration tool for building blockchain business networks, accelerating the development of smart contracts and their deployment across a distributed ledger. The platform handles data exchange and transactions securely over the hyperledger fabric platform, ensuring shipments without delays and frauds. Freight tracking solution enables shippers, logistics companies, brokers and carriers to track shipments with increased accuracy in real time. The platform can handle millions of events without friction and track shipments end-to-end. 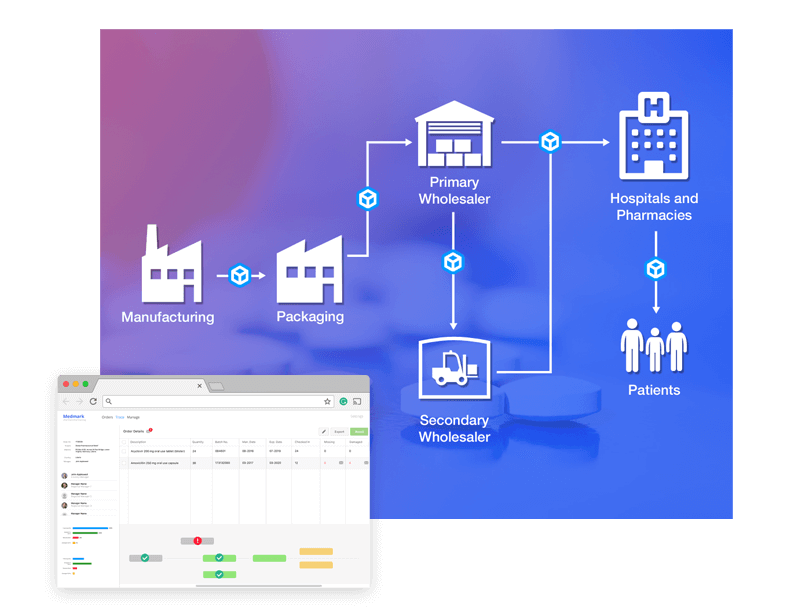 To track the movement of drugs from the manufacturer to the end consumer at global locations. Hyperledger Sawtooth helps to maintain trust between all parties by capturing records from every location to the chain and eliminating paperwork. It ensures no counterfeit medications with traceability and auditability. Ability to identify stock locations in case of a medical recall. 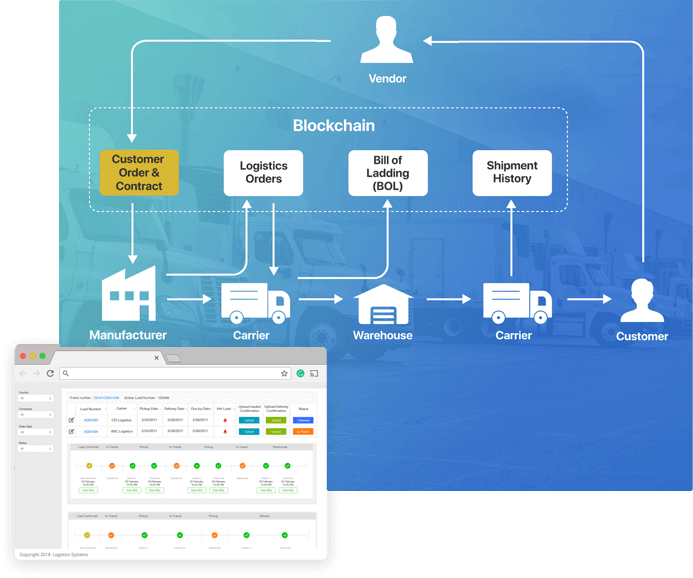 With Hyperledger Blockchain Projects designed for permissioned networks, the assets in the supply chain can be tracked easily from its origin to the destination. Transparency offered by Hyperledger Blockchain Platforms establish the authenticity of the transaction, lower the risks of thefts and enhance the recall process. Hyperledger Indy, one of the Hyperledger Projects is designed to overcome the problems with centralized identity by making it decentralized. An identity built on Hyperledger Indy is based on zero-knowledge proofs which avoid unwanted identity attributes disclosure. Hyperledger Blockchain Platforms are ideal for building healthcare applications that only allow specific authorized users to access health services. Patients can own their health records by enabling specific users to access their immutable records stored on the distributed ledger. We convert ideas into practical applications that are scalable and reliable. We recommend following a process to test quickly and get product maturity at early stages. With the experience of building 100+ digital platforms for clouds, apps, and hyperledger blockchain, we have tailored our process to match the ongoing blockchain industry changes. At LeewayHertz, we strive to take your business to the great heights by developing the highly secure applications for your business. Once you let us know your requirement, our technical expert will schedule a call and disucss your idea in detail post sign of an NDA. Also email me a Non Disclosure Agreement.